The Polarquest team with Nanuq! Nanuq in Iceland, July 2018. July 18, 2018. 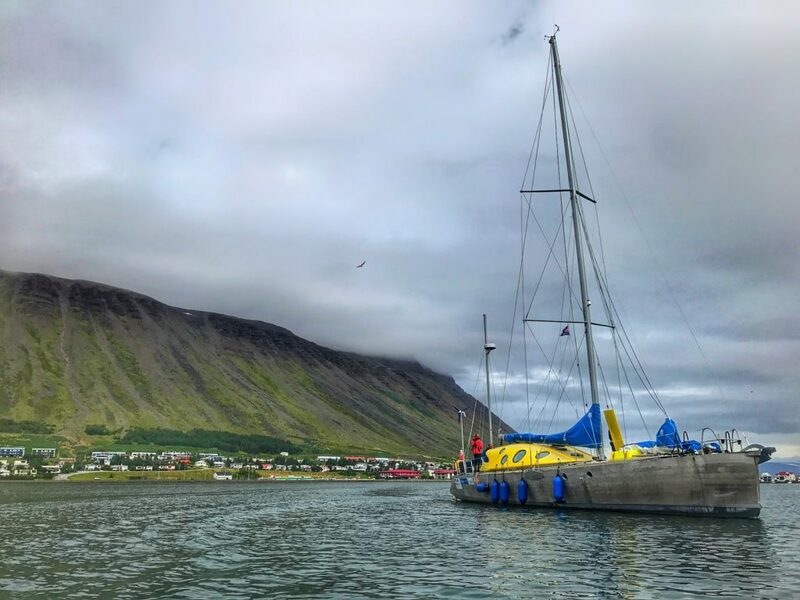 Six expedition members have now joined Captain Peter Gallinelli in Isafjordur, in North West Iceland and are busy finalizing preparations of the sailboat Nanuq, as well as all the scientific experiments on board. They will be joined by the rest of the team this Friday to cast off according to plan, Saturday 21 July for a crossing of the Greenland Sea via Jan Mayen. It will be quite rough high-sea sailing before they reach Longyearbyen, in the Svalbard Archipelago, the Northernmost “capital” in the world, on 1 August. The PolarquEEEst (Extreme Energy Events) Cosmic Explorer is going to be installed on board in the coming days by a dedicated team from Centro FERMI and INFN Bologna, who have been busy testing the detector in Iceland since Monday. This is an unprecedented programme for the measurement and study of cosmic rays at polar latitudes, with a detector developed at CERN (Geneva) by the Enrico Fermi Centre (Rome), in collaboration with the INFN (National Institute for Nuclear Physics), as well as with the participation of school students from Norway, Switzerland and Italy. On board to take care of the detector are Alberto Rolandi, a young physicist from EPFL Lausanne, and Ombretta Pinazza of INFN Bologna and CERN. 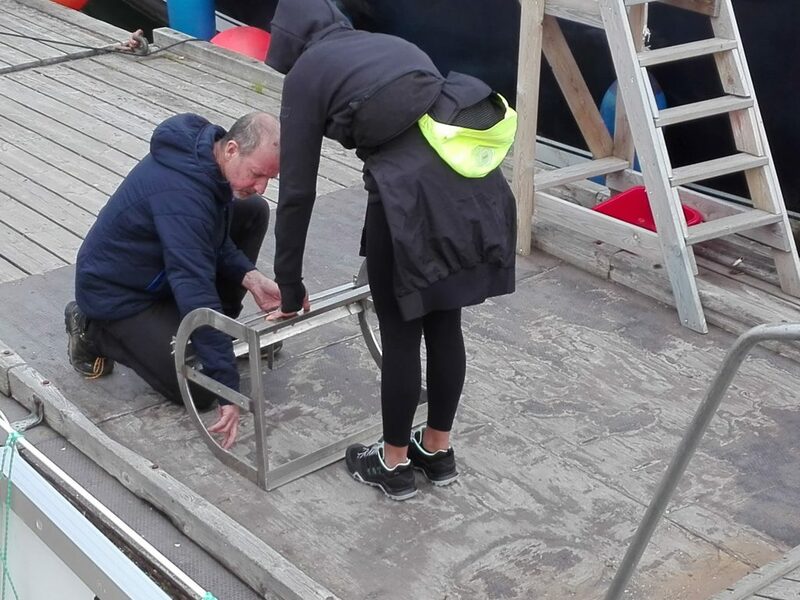 The Nanuq-MANTANET Microplastics sampling programme under the scientific responsibility of ISMAR-CNR Lerici (IT) will also be starting immediately after departure. It is in the hands of Safiria Buono, who is currently busy assembling the Mantanet for sampling with calm seas and preparing the bottles for rough seas sampling. All the scientific activities of Polarquest2018 will be documented and shared – as much as possible – live through social networks and Polarquest2018.org website, live connections with Italian TV RAI Uno and through the production of a documentary that will be broadcast on various international channels. Do follow us on Italian TV RAI Uno, La Vita in Diretta, every Friday or online through our website and our socials @Polarquest2018 (Facebook, Twitter, Instagram). Make sure to like, share and RT!